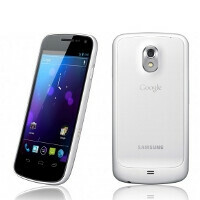 We’ve been seeing photos of the Samsung Galaxy Nexus all decked out in white, but so far no word on a U.S. release date. According to a device launch schedule given to Droid-Life, it appears that the 16GB version of the Galaxy Nexus will be arriving at Verizon on April 5th in both the white and gray variety. While many of you will be disappointed that there won’t be a white 32GB Galaxy Nexus, it may be good news for those hoping to score a Galaxy Nexus at a more equitable rate – it seems likely that the launch of the versions with less internal memory will be concurrent with a reduction in price. At that point we’d expect the Galaxy Nexus to be $199 on contract, and likely less from other retailers or through Verizon’s online specials. It’s important to note that these device launch schedules aren’t iron clad – they're more like “guidelines”, but they generally indicate the earliest a device can launch. There’s little reason to expect a delay in a phone that’s already shipping in a similar form, so in this case the April 5th date is likely to be correct, give or take a week. If you’ve been hankering for a Verizon Galaxy Nexus but didn’t want to pony up the $299 on contract, start saving your pennies now, as a cheaper one will most likely arrive early next month. Agree! :p What's the fuss with the color variance anyway? Cases are available here and there. not everyone likes cases and they never claimed its a special edition. Now the Google Edition one Google employees got was, people just want options even if its only black or white. Options like that are stupid and a waste. If it's that big of a deal get some hy gloss white rattle can spray and paint it. Problem solved. It's like Henry Ford once said, "Any customer can have a car(or in this case a phone) painted any colour that he wants so long as it is black." Hey if you want to spray paint your $500+ phone go ahead but most people don't. Why do they make cars and phones in other colors, styles and models? For VARIETY. No one wants the same thing exact thing as everyone else, wake up. Just because you don't like options doesn't mean its "stupid"
It's April 5th. Some people really care about the color of their devices - look at the mythical proportions that news of the while iPhone 4 achieved while consumers waited for the better part of a year for it. To some the expected price drop will be more important, if they can live with the reduced internal storage. Personally, I'd take the more expensive one with 32GB, but that's just me. or a bedazzled varient!!! OR EVEN HELLO KITTY OMG!!! Damn I wish this came out sooner. I would love to have gotten a 16gig instead and saved $100....also as much as I love my phone and think its great the HTC hero silvery grey color is quite ugly. Once this phone goes for $0.01 on amazon, I am on it! What the F does this have to do with sprint, it obiously says verizon.